Lava Mobiles launched mobile phones with new Indian Rupee symbol on Tuesday, Aug 17. 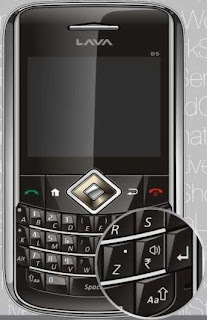 The latest mobiles, Lava B5, has an 'ABCDE' keypad which helps the users for fast typing. It also has dual SIM capacity, FM radio and Bluetooth. It also features email, Opera mini, Nimbuzz, MSN, Skype. The users can enjoy music through Music player with 3.5mm headset jack. The memory capacity can be expandable with micro SD memory cards. "We took this as challenge to ensure that Indians can type Rupee symbol long before than the anticipated time. Around the occasion of Independence Day announcing the incorporation of Rupee symbol in the mobile keypad will be a tribute from Lava family to the entire nation. 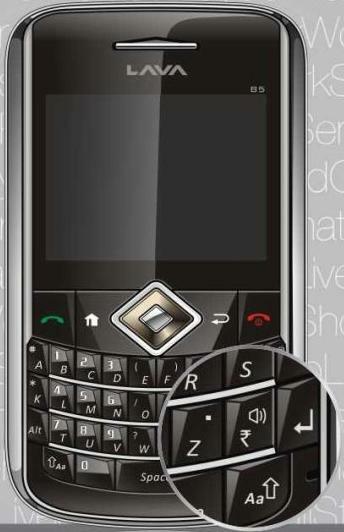 The currency symbol on the keypad of their mobiles will make millions of Indian proud. We are happy to be the catalysts of spreading this spirit," said SN Rai, Co Founder and Director, Lava Mobile.